Last week I met with one of Yorkshire’s most successful entrepreneurs; the very charismatic and creative Jonathan Straight. I was really delighted that he had taken the time out from what must be a very busy schedule as he wears many hats. It was great to spend a pleasant couple of hours finding out about each other and exchanging ideas, and some of the things we spoke about inspired me to think about the subject of this post – innovation management. Is there an innovation process? Is there an art to creativity and innovation that can be applied to the workplace? If so, what’s the best innovation strategy? The subject of art and creativity came up during our discussion as he has a passion for street photography. Jonathan has his own page on Instagram called straightpix and his pictures have a real freshness about them, capturing everyday people in black and white. He came up with a really fascinating point: that we are all artists at heart and the difference between those we call artists and everyone else depends on the actions they take. Artists are doers. For anybody who is working with a team of creatives, this kind of thinking has wider implications. If the main difference between an artist and a non-artist is that one applies creativity to action while the other does not, then what happens to an artist who is not given the freedom to express or the space and time to convert their creativity into action? Surely an innovation strategy is one that facilitates creative processes. Creativity is not transparent. What do I mean by that? I mean that while somebody who experiences a “eureka” moment may be able to trace back their steps to how they landed the idea or the insight, as I can trace back my inspiration for this blog post, the actual process of conceptual germination happens beneath the radar. In a way the term innovation management is a misnomer. We can control other factors that lead to innovation but not the mental process itself. I have certainly found this to be true in my own experience as a writer, a musician and also a creative martial arts performer. Artists often report to feeling like they are a channel for innovative ideas to be expressed through. We manage ourselves to create the conditions for ideas to grow. You can’t see it happening and then….bam! You have an idea. Part of the innovation process involves daydreaming. It also involves procrastination to some extent. Research has shown that creative people come up with better ideas when they are encouraged to do other things such as playing Minesweeper or Solitaire before being asked to come up with creative suggestions. Too much procrastination dampens creativity and innovation because it produces time pressure leading to people opting for the laziest route to a solution rather than the most innovative. Again, this rings true for me in regard to my own creative pursuits. The secret ingredient that makes creativity what it is, the part that we can’t see, the bit that comes before the spontaneous “I have a dream” moment, is impossible to measure. We can’t see it. We can’t hear it. It is unpredictable and impossible to forecast for. Think of some of the greatest scientific breakthroughs. 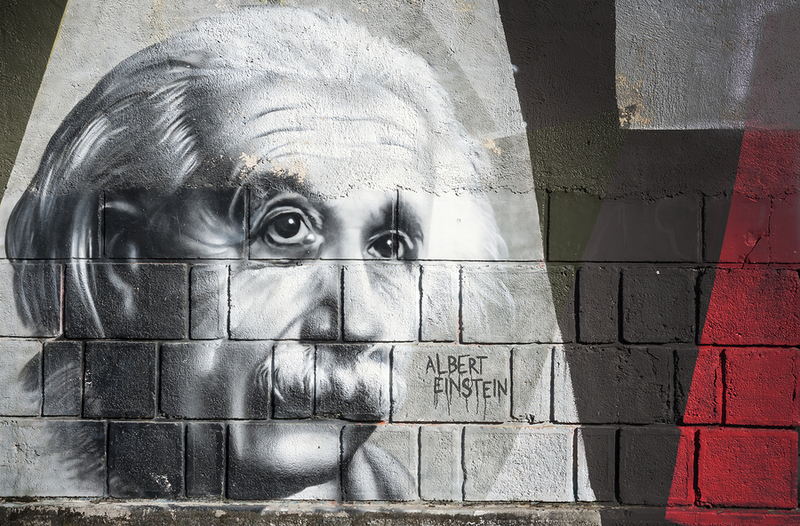 Can you imagine asking Einstein how long it was going to take him to come up with E=mc2? “One Special Relativity formula coming up. Just give me 4 hours and I will come up with that formula for you!” said Einstein never! While the time taken for any artist to come up with an idea can vary dramatically from the Princes of this world, who could write and produce a song from scratch within hours (maybe even minutes), to those who spend 5 years producing an album, we can provide the conditions that allow creative people to do their thing. Remember, it is not the fact that they are creative that makes them special but that they are able to channel their creativity into plans of action and execute those plans. Make it easier for your designers, developers and social media experts to generate ideas that are extraordinary. Personal Expression – encourage your creatives to express who they are in the workplace and to be able to work to their strengths. Music – if they like to listen to music while they are working, you can either provide music that is easy going for everyone or you can allow your staff to listen to their own music through headphones. Flexible hours – not everyone is super-charged and ready to go at 8 or 9am. I need at least two coffees before I feel switched on. Give them time – you must factor in the time to process the brief. The pressures of deadlines and productivity must not stop your creatives from being able to think differently. If it does – what is your product, what is your output and what is it going to deliver? The right to get it wrong – you have to accept that some ideas will not fly. Forget about them. Allow the team to voice their ideas freely otherwise you risk fantastic concepts not reaching the light of day for fear of ridicule. The right office space – how have you planned out the office? Are people too close to one another or too far apart? What’s the decor like? Is it comfortable? Is there a space for relaxation? This should be common sense but the more you involve your team in the decision making process the more likely it is that they will produce the creative results you want. Work from home – this is not cut and dried and there are pros and cons to having your staff work from home. If you have a busy or noisy environment, just the buzz of the office ticking over may make it difficult for some of the team – developers for example – to concentrate and allowing them one day a week to work from home can allow them to enter the zone in a deeper way than they would in the office. Mindfulness at work – Mindfulness and meditation practice is an essential part of any innovation strategy and disengages people from ordinary linear thinking processes so they become more watchful and contemplative. This unlocks the mind, making free association and bright spark ideas more likely. Promote health and vitality – think about it; there is nothing healthy about the morning commute in a busy city or sitting at a desk for 7 hours a day staring at a screen. The office can be just the right temperature with fresh air, good lighting and ergonomically excellent seating but it still doesn’t beat the more active lifestyle. This article from Business Insider explores the benefits drawn from encouraging employees to exercise. Here at My Social Agency Ltd, we encourage our team to stretch during our daily stand-up meeting. How do you drive things forward in your organisation? When you look at how honey bees work, the beekeeper doesn’t tell the bees how to make honey! Everything the bees are going to need to do what they do best is provided for. Then the magic happens by itself. Learn from the beekeeper. You can’t interfere with the innovation process within the mind of any of your team members. Empower your creative players to digest the needs of your latest project and to come up with the best way forward. Make sure your team has all the tools they need to do the job. Ensure that briefs are communicated to the team in a clear and effective way, that they are given the time to mull over the challenges in front of them. If you give them a brief today and expect them to respond to it yesterday you may as well draw up a stack of off-the-shelf solutions and just pick one of them. There is loads of research out there in regards to effective brainstorming. It is worth noting that this is where giving time to procrastinate comes in particularly useful. If you deliver a brief to all your creatives and then give them the chance to chew on the task as individuals before coming together into a brainstorming session, you will generate more ideas and more original solutions. When all things are considered you need to weigh up the realities of running a profitable and productive business that delivers on its promises and agreed KPIs while acknowledging that innovation and creativity will be an important part of the process. Innovation management doesn’t have to cost the business in time or money. Creating the right culture for artistic expression is easy to achieve and makes for a wonderful place to work.